The term was coined by Napoleon Hill, one of the most successful authors and influential people of the 19th century. He created the term while writing his book, Think and Grow Rich. A book that becomes one of the most sought-after reads for any business owner or entrepreneur. A “Mastermind” is just a fancy word for a group of people with like-minded interests that meet and talk about business. Entrepreneurial life can be lonely, as many of you have experienced from time to time. As much as we love speaking to our friends and family about our business endeavors and ideas most of them don’t understand what we do unless they share the same career path. It can be disheartening and frustrating which is why it is key to be part of a Mastermind. Meeting with like-minded entrepreneurs is essential for accountability, socialization and on outside opinion for your business. • Each person discusses any problems they are currently having and other members brainstorm and offer ideas, advice, and words of encouragement. • Each person sets out a goal to accomplish before the next meeting and strategies can be discussed on how to achieve this goal. Mastermind meetings are becoming a popular staple in any business owner’s arsenal, especially after reading Think and Grow Rich. If you find yourself lacking entrepreneurial encouragement, motivation or accountability, research for Mastermind groups in your area or start one of your own. You have nothing to lose and only good things to gain! Great article! 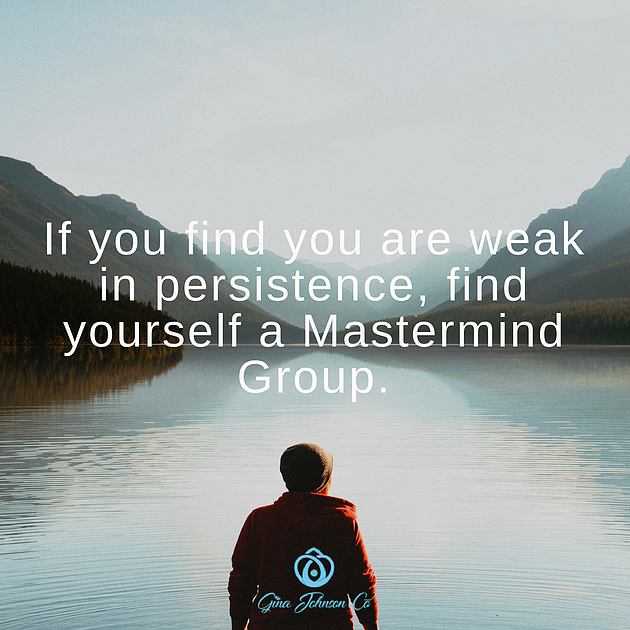 Everyone should be in a mastermind group! It truly does launch your business to another level! Very true! Yes, everyone should be in one! Love having you in mine! Masterminds are amazing! So full of knowledge and amazing business owners. Gina hosts the best ones! I love joining your masterminds! Hi. I have checked your ginajohnson.co and i see you’ve got some duplicate content so probably it is the reason that you don’t rank high in google.